The lecture will be given in English. It will take place on Thursday, February 15th 2007 at 6.30 p.m. at the DIJ. February 15, 2007	/ 6.30 P.M.
Second, “techno-parochialism”. This happens when a nation at the forefront of the innovation race, like Japan today, or the U.S. in the mid 1980s, starts to look only inwards. Parochial pride leads to arrogance, making people forget the very secret of pre-eminence, i.e., the “emulous (innovative) power”. Third, vulnerability of international technological cooperation. Conventional wisdom has it that technology lends itself to international cooperation. This is a naïve view. In actual fact, innovation is potentially both, cooperative and competitive. 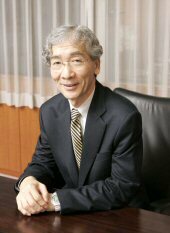 The recent alliance of Japanese semiconductor manufacturers against South Korean SAMSUNG is a case in point. Fourth, economic rationality prevails. Gains in national wealth invite blind belief in economic efficiency. But efficiency taken too far can be an impediment to innovation which is often costly in terms of time and money. Taizo Yakushiji took his Ph.D. in Political Science at Massachusetts Institute of Technology. Besides his Professorship he is member of the Council for Science and Technology Policy, Cabinet Office and serves as Executive Research Director at the Institute for International Policy Studies.